At CrossFit 3D we believe that training should prepare you for the challenges that life throws at you – the ‘unknown and unknowable’. We do this by offering a broadly inclusive programme tailored to meet the needs of each and every individual that trains with us. Meet Mike Aka Madders, gym owner and coach. Mike has been coaching people to get fit and healthy for over 12 years. During this time he’s also worked as an educator in the fitness industry helping 100’s Fitness professionals improve their knowledge and coaching skills. Mike has coached people from a multitude of backgrounds and abilities from athletes and fitness professionals to Mums, Dads and office workers. Mikes passion has always been in helping and teaching ordinary folk just how extraordinary they can be with a little help and guidance. His interests are being a Dad, 80’s music and modelling his hair colour on the legendary Philip Schofield. Meet Luca Aka the Italian Stallion, 3D Coach and Sports S&C development specialist. Luca has been involved in Sports and developing people for most of his Adult life, He moved to Manchester last year to work for us at CrossFit 3D and also to study a Masters degree in Strength and conditioning, which he is currently completing. Luca has coached Italy’s Olympic fencing team and many other national level athletes including basketball and a ton of other sports. Luca Teaches our CrossFit, Olympic Weightlifting as well our our 3D move classes which concentrate on refining and improving movement. His knowledge is only surpassed by his passion and eye for detail, A caring coach who delivers 100% every time. Lucas interest are the kind that usually involve him risking limbs as he flys down a mountain or across water, But lucky for us he taken a back seat on the extreme sports for now. He also likes organising seminars and workshops for athletes and recently delivered a National Strength and conditioning conference in Italy. Meet Tom Aka Crazy horse, Tom is one of our CrossFit and Weightlifting coaches and also recently took up a position heading up our 3D Nutrition membership. Tom is a passionate and dedicated coach who puts 100% into everything he does, If you are looking for a coach to help you change your lifestyle and eating habits or to improve your performance then Tom is your man, not only will he give you a 100% but usually cares more about the clients results than they do, giving non stop support until they reach their desired goal. Tom also gives 100% into his own training leaving no stone unturned in his quest to improve his already impressive performance. Having proved himself at many a competition with some podium places, he’s not stopping there and is fast becoming a force to be reckoned with on any aspect of physical fitness. His only ability that surpasses his own physical capability is the ability to take his clothes off quicker than the timer can start, sometimes winning him awards in our own internal award ceremonies! 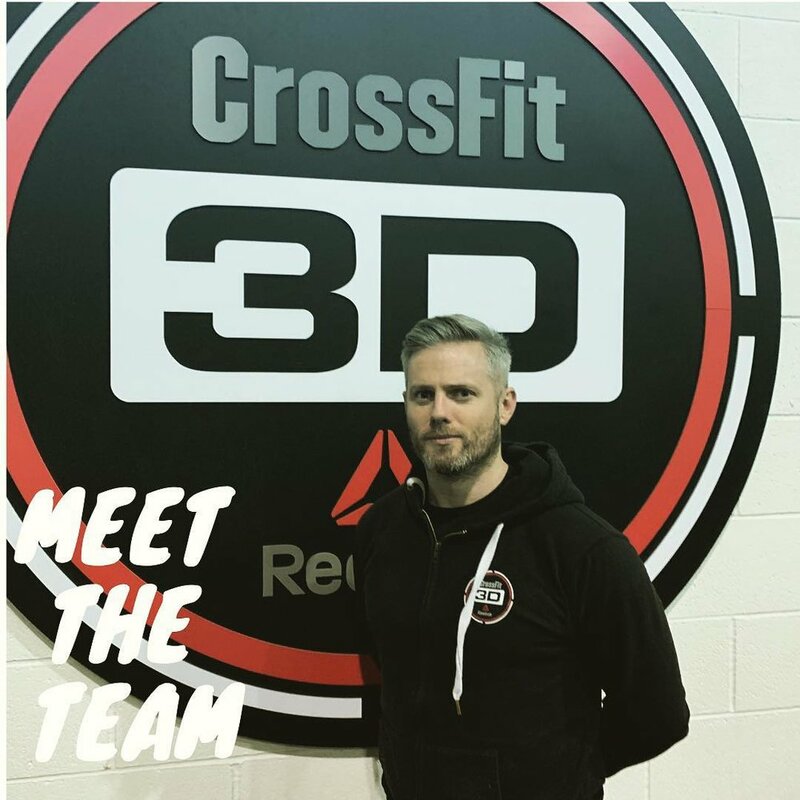 Meet Coach Phil, He has been coaching CrossFit with 3D for 4 years now and heads up our Adults gymnastics program as well as our CrossFit kids program too. Phil has a strong interest in improving people’s free body weight movements using principles from Gymnastics, Calisthenics and many other styles of movement philosophies. A competent athlete is his own right Phil often takes on challenges to improve his own considerable strengths to take them further such as bouldering and hiking and most recently teaching himself to do a backflip ! Phil remotely coaches many people as well as our own members mentoring them through his callisthenics program and taking them to new heights of bodyweight control. He also takes time out of his day each Saturday to teach our Kids and Teens program,by taking our next generations through fun and engaging programming he shows them that not only exercise is essential but can also be a consistent fun part of a healthy lifestyle. When Phil isn’t coaching or training he has a keen eye for filming and photography, his creative work keeps going from strength to strength using his skills to showcase his business in a fun and engaging way. His films and pictures really bring to life his enthusiasm for all things training as well as his personal interests such as getting out hiking and exploring the world.